New Rockford is the County Seat of Eddy County in Central North Dakota. 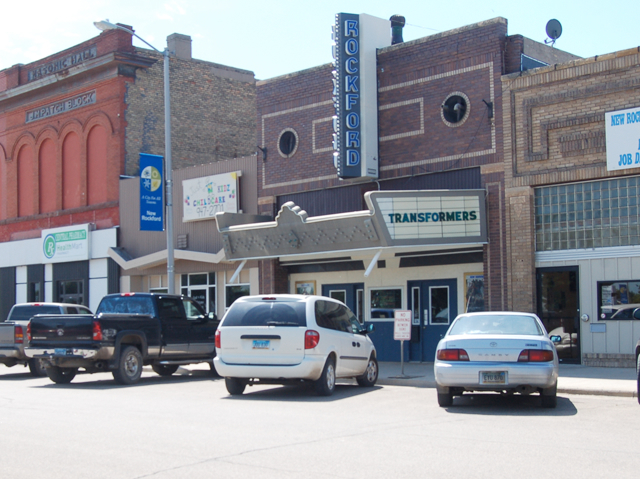 It is centered between North Dakota's four largest cities, New Rockford is a community of approximately 1600 people. The city is 150 miles from Fargo, 135 miles from Bismarck, which is the state capital, 125 miles from Grand Forks, and 120 miles from Minot, with Devils Lake just 40 miles to the north and Jamestown 60 miles south. New Rockford has been the home of the North American Bison Cooperative since 1993. The 1.47 million dollar bison processing plant was constructed at that time. It is the worlds first processing plant devoted exclusively to Bison meat. The market for this product is throughout the United States as well as the International market. Located just 16 miles south of New Rockford is Dakota Growers Pasta Plant which produces pasta from North Dakota grown crops. The plant employs approximately 200 people and does business on a national basis. The city is in the heart of some of the best hunting and fishing in the United States. Sportsman from across the country journey to our area for this reason. New Rockford Central School serves the community with quality education from kindergarten through high school. It is a fully accredited school with large classrooms, a wide variety of subjects in its curriculum, as well as college level Dual Credit courses being offered. There are a wide range of extracurricular activities being offered which encompass the interests of all students.